About "Temptation (Christian Counselling & Educational Foundation Series)"
Customer Reviews For "Temptation (Christian Counselling & Educational Foundation Series)"
Lane's little book is a helpful analysis of temptation. Firstly he looks at how temptations arise, including the stages that one goes through in temptation before sinning. And once you have a better understanding of the mechanics of temptation, Lane gives you some pointers on how to resist temptation. All in all, this is a tremendously insightful book into one of life's most persistent troubles. 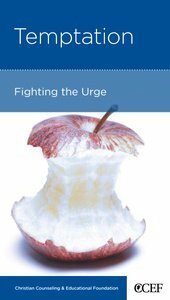 If you want to fight temptation more successfully, spend a few minutes digesting this work.